I recently had the opportunity to meet author and artist Douglas Coupland and participate in a huge art project that he is undertaking. Coupland is often attributed with popularizing the term "Generation X", which was also the title of his first novel. He is a prolific writer, and on top of writing books, contributes to Vice regularly. His visual art is bright, in-your-face, and is popular in Canada, America, and Europe. Vancouver, Canada is the home of a few of his sculptures, including the lego-like orca near the convention centre. 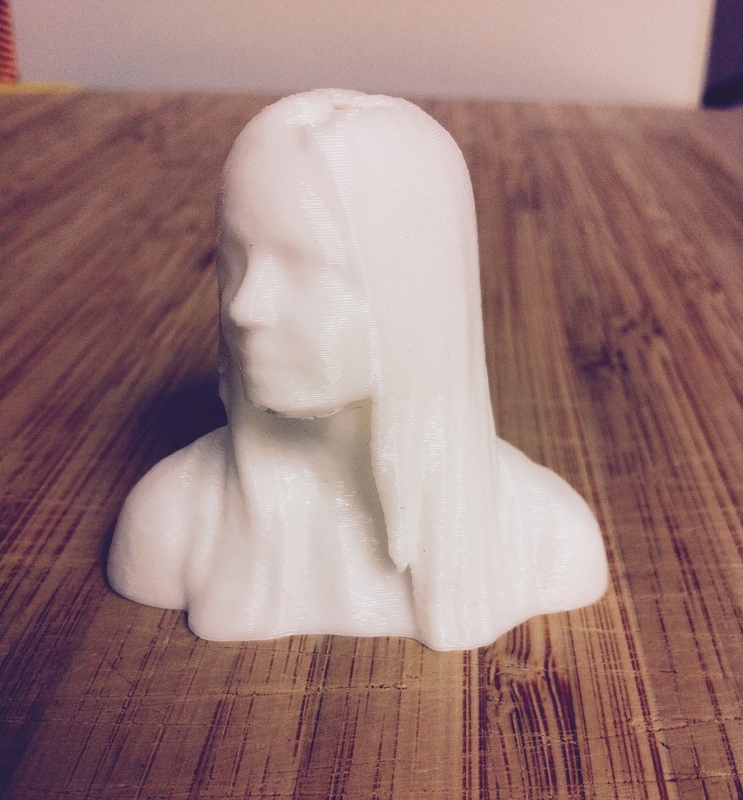 The project that I had an opportunity to take part in is called 3DCanada: APortrait of Canadians in the 21st Century and, uses 3D printers to create portraits that will be used in a giant installation. Sitting for a 3D scan involves not moving for just over a minute while the rendering is created on screen. Teaming up with the Canadian, Quebec City based brand, Simons, Coupland is travelling to Simons locations with 3D printers, and the technology required to scan Canadians and create 3D replicas of their portraits. According to the artist, he is hoping to get 2,000 3D printed busts that he will print out in large sizes, paint and then use in a massive art installation to be completed in the year 2019. He plans on having the piece travel until it comes to rest in the Toronto-Bloor Street Simons store. When I spoke to Coupland, he told me that he is excited about how this piece will both preserve a moment in the subjects' lives, and give them the opportunity to look at themselves differently. He enjoys the idea of using cutting edge technology to explore the idea of what a group portrait is in the 21st century. The best part of the whole experience? All participants will receive a small version of their 3D image to take home!